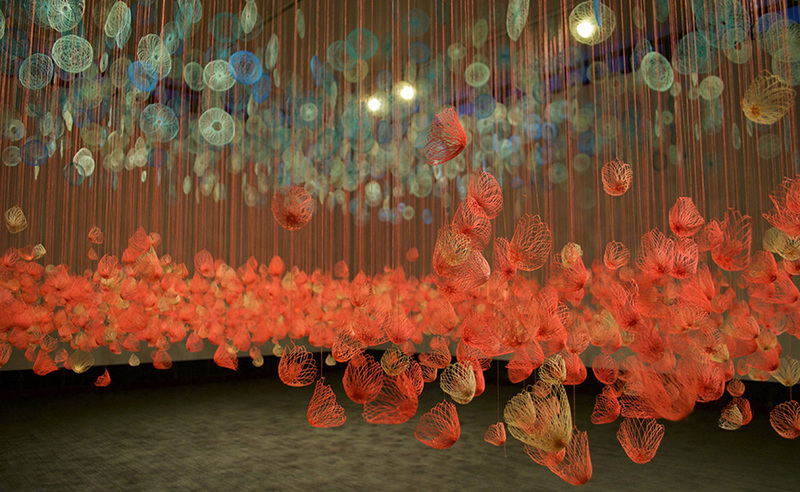 This week I flew to Sioux Falls, South Dakota, USA to install an exhibition at the Washington Pavilion. 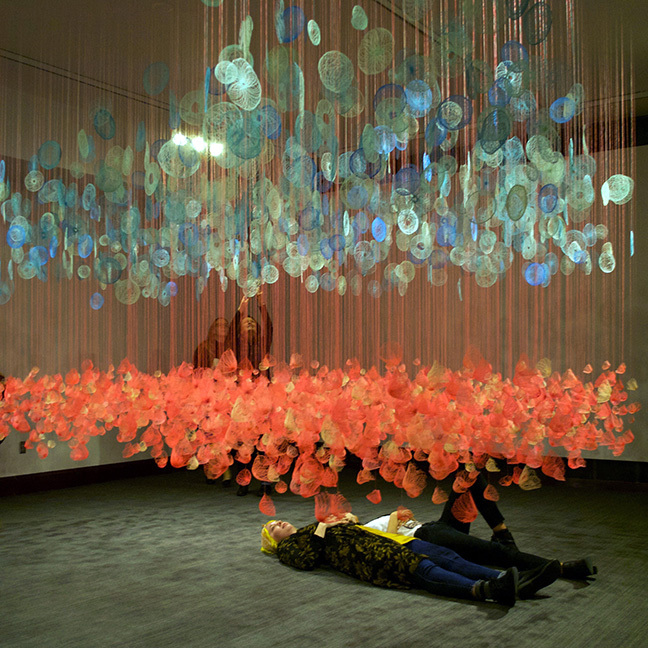 With a team of dedicated volunteers, we took a week to install the piece “Pink Field, Blue Fog” which consists of thousands of embroidered units that hang from individual threads. 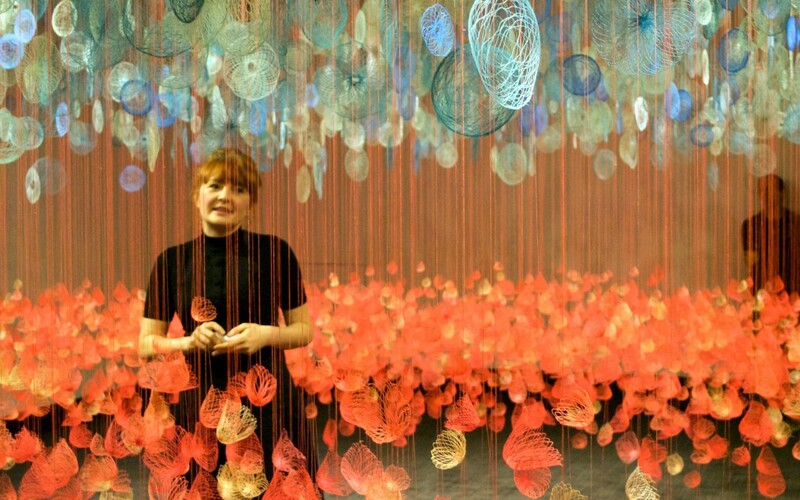 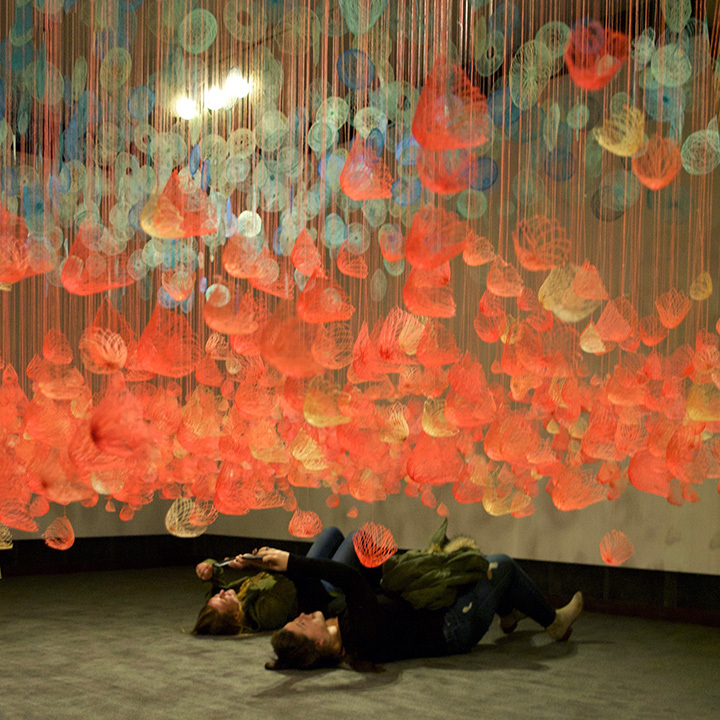 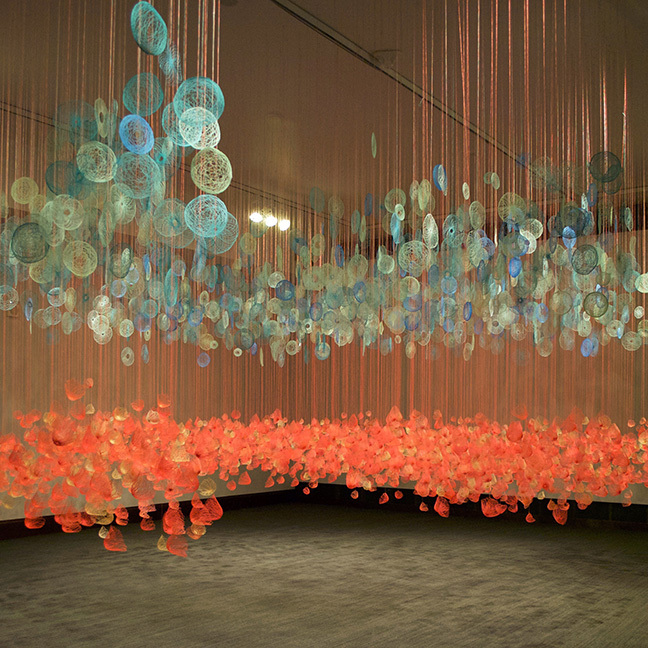 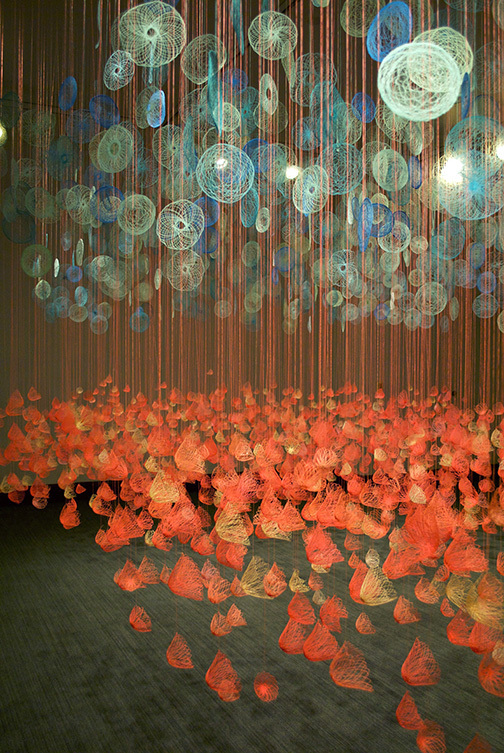 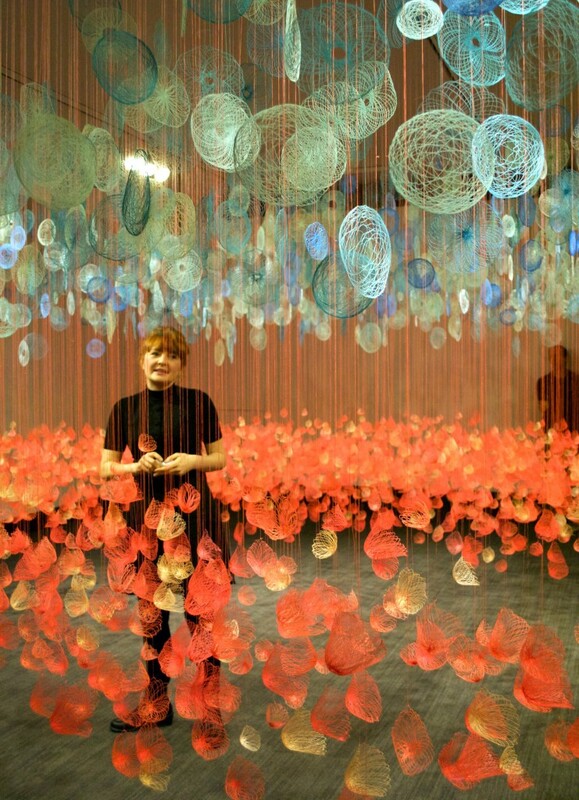 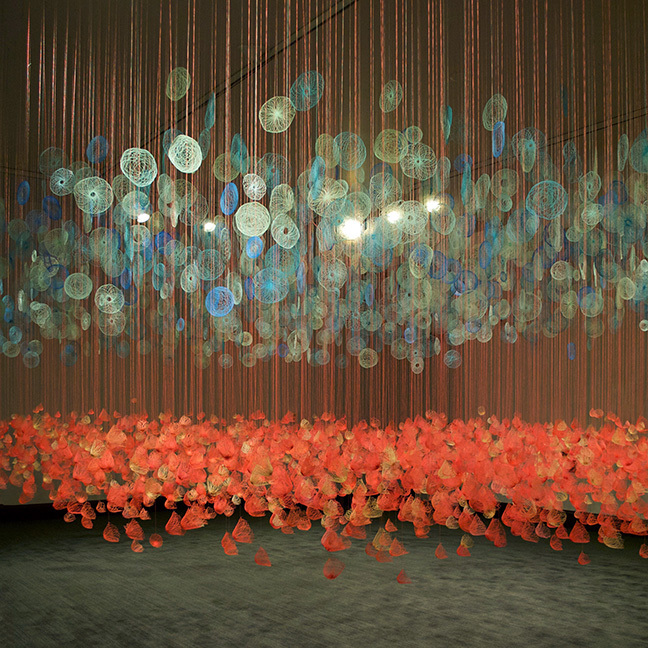 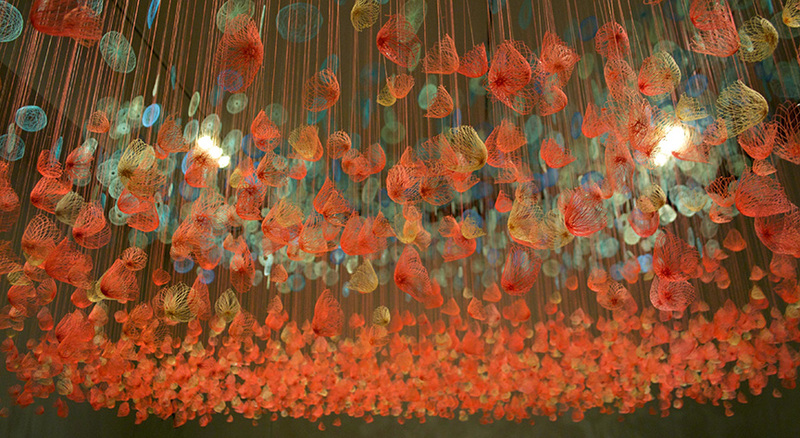 Step into a glowing field of colour composed of thousands of embroidered flowers. 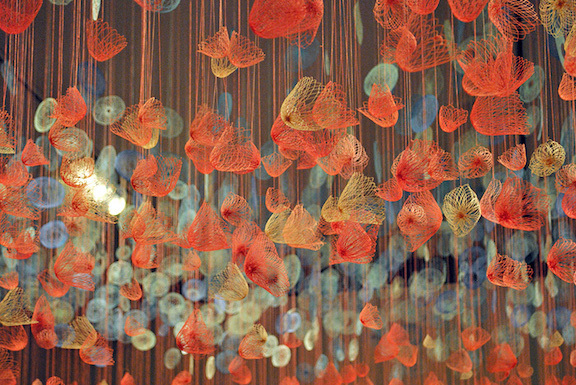 Amanda McCavour is a Toronto-based artist who works with stitch to create large-scale embroidered installations. 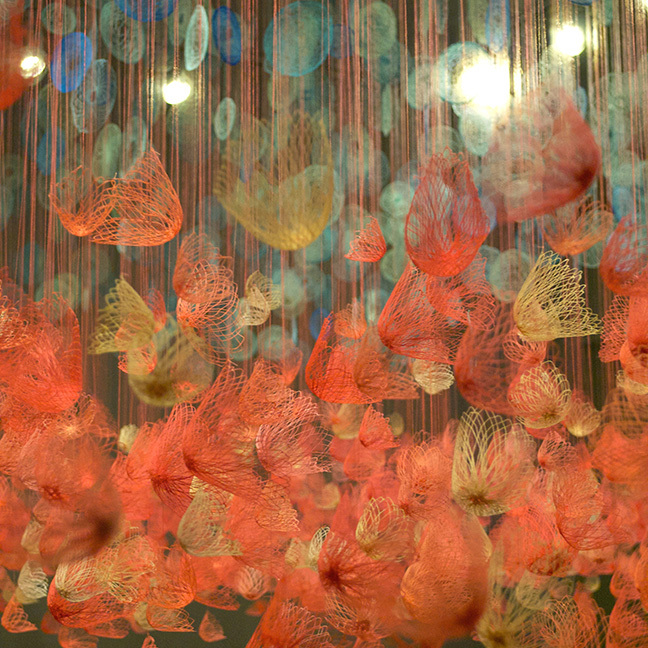 She is interested in thread’s assumed vulnerability, its ability to unravel and its strength when it is sewn together. 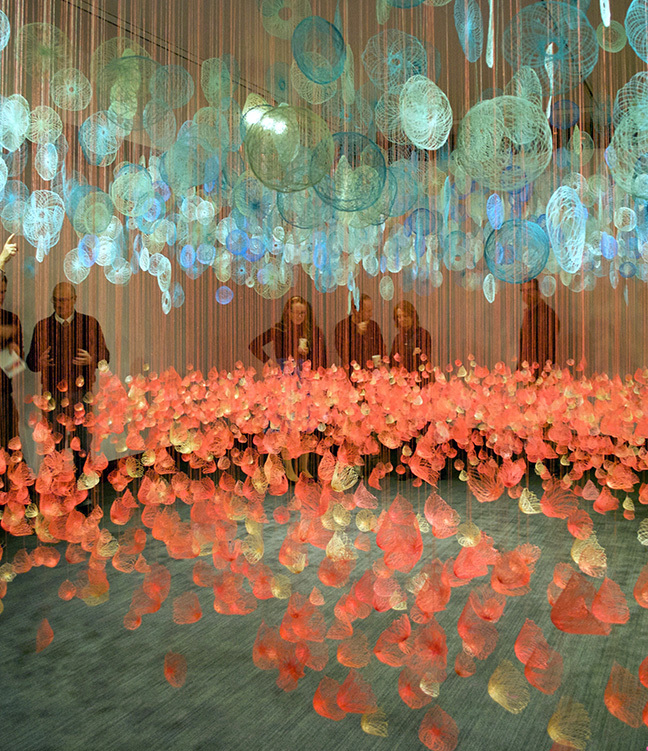 Pink Field, Blue Fog transforms the Corner Gallery into a neon environment of flowers and floating clouds in a faux surreal landscape.